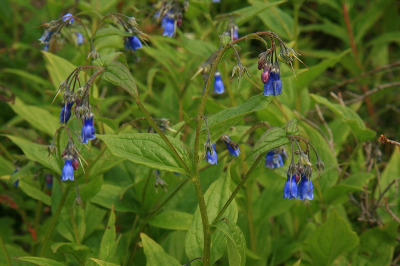 Mertensia paniculata (Aiton) G. Don. Coniferous swamps and seepy forests, shaded edges of streams, rocky openings, and rarely in deciduous forests. 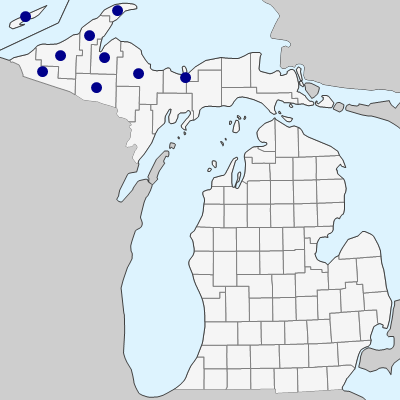 From the western Upper Peninsula, north shore of Lake Superior, and James Bay, this species ranges west to Oregon and Alaska. MICHIGAN FLORA ONLINE. A. A. Reznicek, E. G. Voss, & B. S. Walters. February 2011. University of Michigan. Web. April 24, 2019. https://michiganflora.net/species.aspx?id=582.